Other posts on this project: Rainbow Quilt Pt. 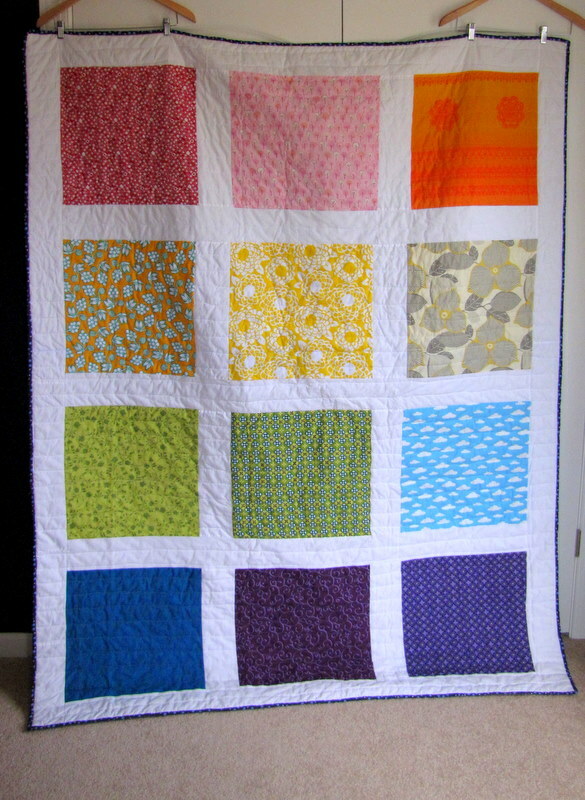 1, Rainbow Quilt Pt. 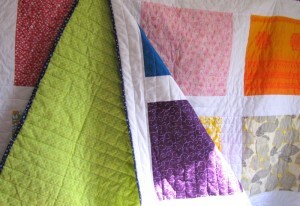 2, Rainbow Quilt Pt. 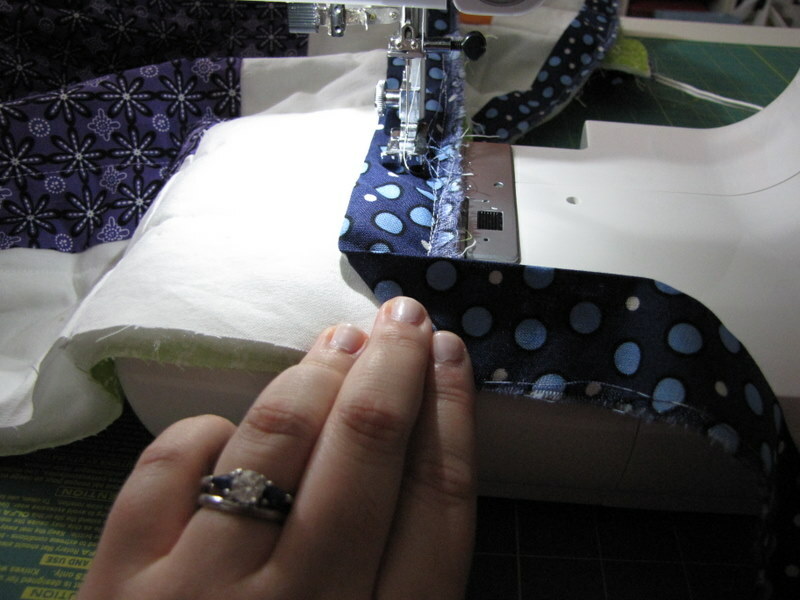 3, The Quilt Is Pinned and My Fabric Came (Rainbow Quilt Pt. 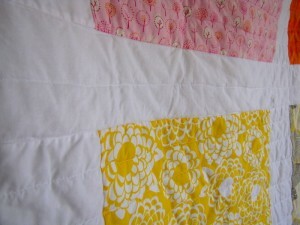 4), Rainbow Quilt Pt. 5, Thursday Things, How to Juggle More Than One Project, Rainbow Quilt Pt. 6, Rainbow Quilt Pt. 7. It’s done! Thank you, Material Obsession, for the great pattern by Kathy Doughty. I love it. My first full-size quilt that I quilted myself is now done. This twin is going into our library, I think. I learned a lot doing this, particularly how to do binding a bit better. 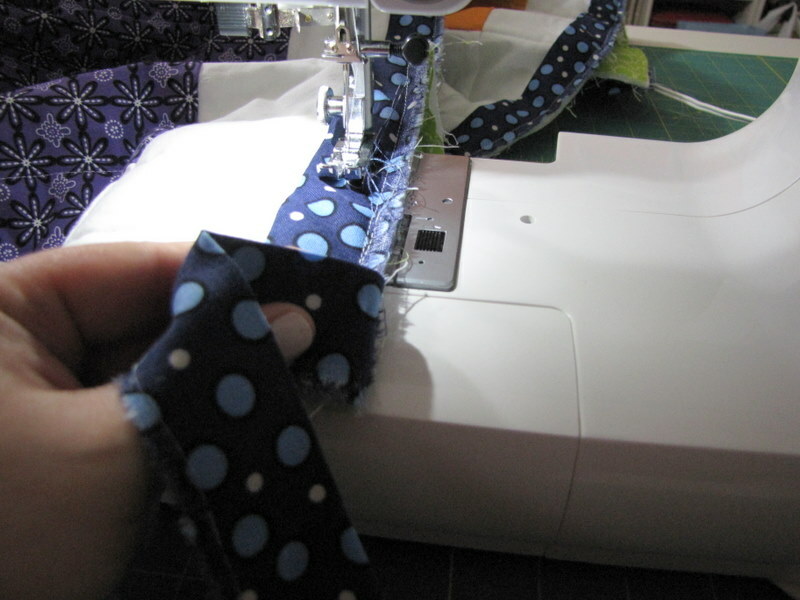 Even how to miter the corners of my binding. 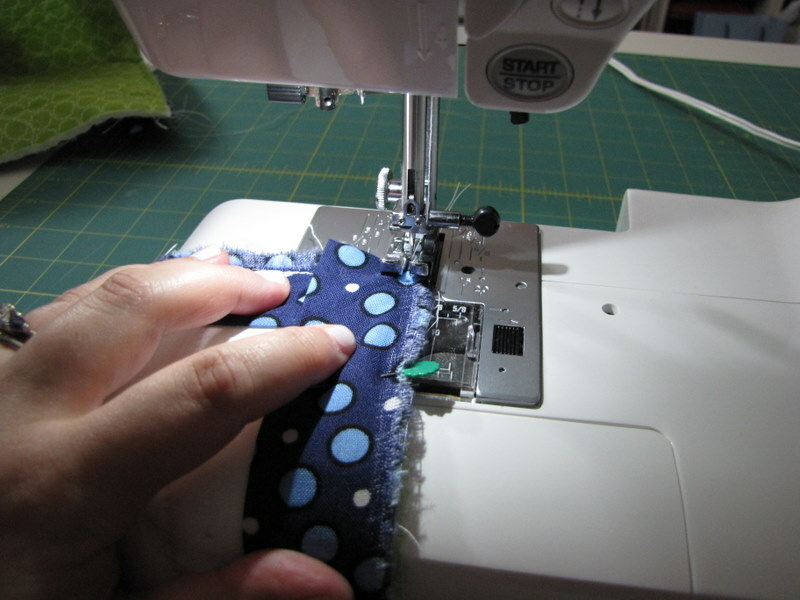 I’ve got to work on the stitching for the back of the binding in the future, but overall this went really well. And I like the off-kilter lines in the quilting, I’m really really happy with it.